Teaching children is a blend of challenging, fun, and rewarding experiences that give you a new perspective on tutoring and can help you develop your skills. How can you make every lesson the most effective and rewarding for the youngest students? Find the most helpful tips on how to tutor young children online using the abundance of features that are available in virtual classrooms. 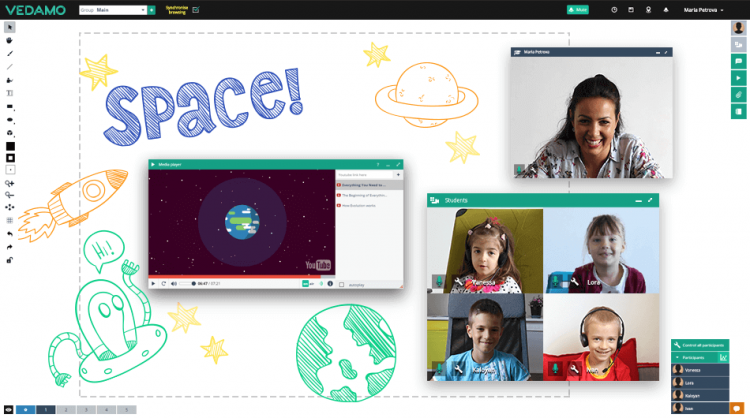 How to tutor young children online in virtual classrooms? How to prepare yourself for the challenges that you may face during your teaching experience? What makes teaching kids such an incredible and rewarding experience? How tutoring children online is different than tutoring teenagers online? 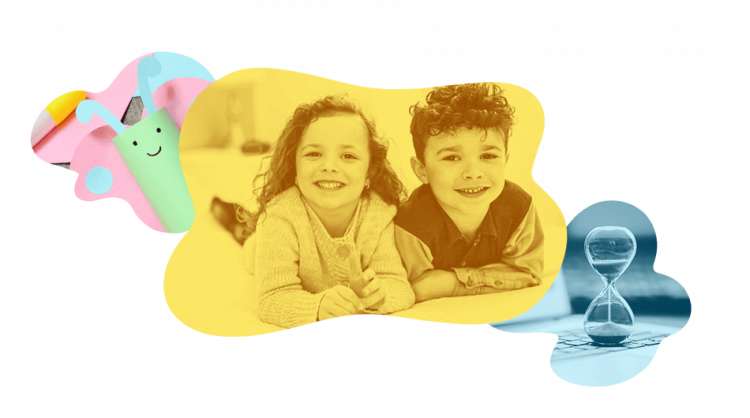 Here are some of the most helpful tips and effective strategies for teaching young learners who are between the ages of 4- to 7-years old. 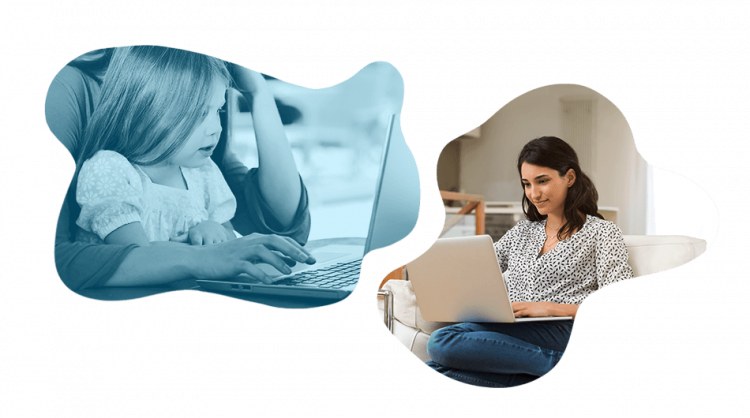 What to expect when tutoring young children online? Kids between the ages of 3-7 cannot keep their focus for a long period of time. So how can you make the most of each lesson? Keep it short and simple. Plan lessons that are up to 30 min long. Choose simple topics and introduce the learning material gradually by using various features from the virtual classroom to keep it entertaining and fun. The youngest kids are the most adorable students, but they are also the most easily distracted group of learners. What is their source of distraction? Everything! There might be noises and sounds in their environment or your environment, they might be excited by events in their lives, etc. Sometimes even the learning material can be distracting if it consists of too many visual and sound stimulators, such as lots of animations and videos. The truth is that it is difficult to predict what can draw a child’s attention away from the learning material. As a tutor, you can do your best to turn distractions into learning opportunities. The easiest way to do this is to ask questions and to keep the communication flowing. Because kids get distracted easily, it is recommended to opt for private lessons with only one child at a time instead of group sessions. This tip is especially helpful for teachers who are new to tutoring young children. Kids are the most emotional group of learners. If they feel comfortable with you, they’ll express their emotions and experiences. This is a great opportunity to build a friendship with a child. Try to incorporate sharing and expressing emotions in the learning process. Be active in showing emotions through TPR (total physical response) throughout the whole lesson. Use lots of gestures with your hands (thumbs up, clapping, etc. ), facial expressions, and different voices to make the learning experience more entertaining and rewarding. Every child is different. Just like adults and teenagers, the youngest students have different ways of learning information. Some learn the best through visual stimulation, while others are more interested in stories, drawing, etc. Different students learn at different paces. Be prepared to adjust the learning material according to the individual needs of every child. Sometimes you can do everything right, but the lesson will not go according to plan. Be flexible so that you can adjust the learning material based on the progress that is made in the study process. If a young child is too overwhelmed, or too tired and just doesn’t want to cooperate, end the session earlier and try to not blame yourself. Fun and joy are inseparable parts of teaching young children. Your young students will bring you smiles and laughter, pure joy, and lots of moments that will make you proud of their progress. In general, the more prepared you are for a lesson with a young learner, the smoother the study process will go. For starters, it is helpful to learn more information about the child in advance, like their name, age, interests, and previous learning experience. Plan which features from the virtual classroom you will use in the lesson, such as multimedia materials, animations and videos, drawing and writing on the whiteboard, share screen, etc. Write down entertaining and interesting ideas for opening and closing the sessions: songs, rhymes, or a fun greeting. Establish a positive routine at the beginning and end of each lesson that will set a joyful mood for you and the student, as well as create a conducive atmosphere for learning. Use various physical teaching aids like puppets, toys, and other objects. 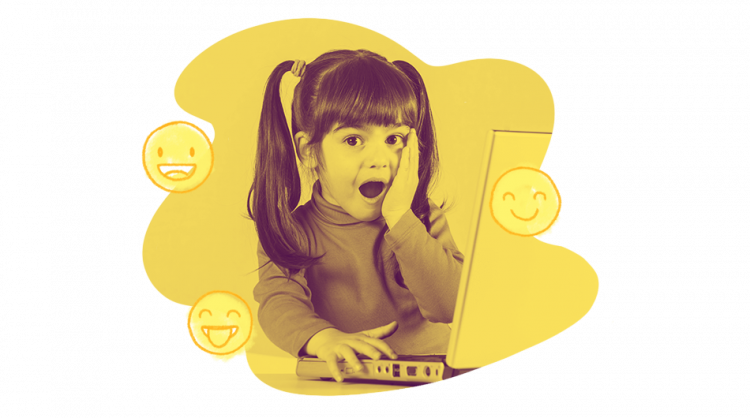 One aspect of teaching children online is learning how to improvise when there are unexpected distractions and questions coming from a child. Try your best to turn these distractions into a learning opportunity. For example, a child might be excited to interrupt the lesson to share their thoughts and experiences. Encourage them to share, but turn the situation into a learning experience. For instance, if you are teaching a language, you can ask the child to translate or spell together what you hear or see. If you are teaching math, you can suggest to count or calculate. Bring the energy level up when starting the lesson by showing your excitement about seeing and teaching the child. End every lesson on a positive note. Praise the child often, especially at the end of the lesson, by expressing how proud you are of the progress that they made today. Humor, jokes, laughter, and funny quotes are very effective when you tutor young children online. Create a rewarding system with different levels that will encourage the child to continue to make progress. For example, you can draw a picture that represents a story and add a new element when the child answers correctly. You can also sing a song or make up rhymes. Studying by using games and challenges is one the most fun and effective teaching tools for kids. While adult students are motivated to learn even if they don’t enjoy the learning material, children will stop learning if they are bored. Make the most out of every feature in your virtual classroom in order to create an entertaining and rewarding learning experience. The multimedia files and the virtual whiteboard are really helpful for keeping a child’s attention focused on the learning activity. You can also share screens. Some of the activities include inventing a story, finishing rhymes, drawing a picture, etc. Ask open-ended questions that encourage a child to answer with more than one word. In this way you’ll stimulate the young student to think and better express themselves. Incorporate games that are helpful for the learning material like spelling and math. Send the parents a summary of the lesson, as well as the homework assignment for the next session, after every lesson to keep them up-to-date on the progress of their child. In this way the parents will also help with the study process and encourage their child to learn even after the lesson.